I posted a couple weeks back on how there was something in the latest beta (at the time) that really got me excited with how I might be able to integrate ArcGIS Explorer into workflows with our clients. I guess someone remembered that and wanted to know what it was. 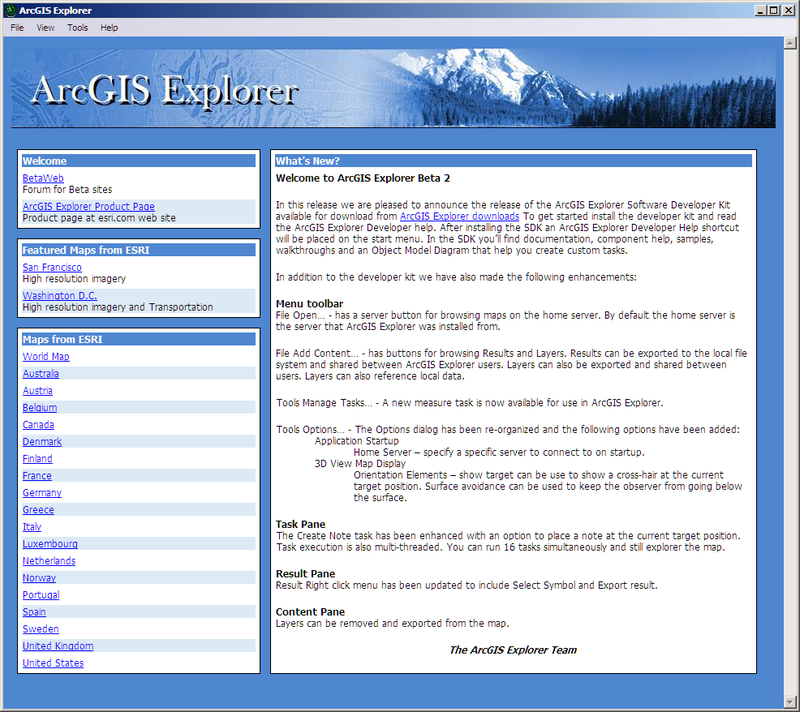 Say hello to ArcGIS Explorer’s startup page. What is really nice is that you will be able to create your own startup page and brand AGX the way you want. You’ll be able to make modifications to this startup page and the clients will get those changes next time they view it. Any new features or news can be posted up right away. Heck combined with the ability to skin AGX, I think we’ll see some really great implementations of the customization features.